Two days ago, there were reports of Missy Elliott once having an affair with Keri Hilson. The rumors were started by popular gossip site, Media Takeout. Upon discovering the rumors, Hilson was highly upset. She was angered by the lies and she immediately called the site out. Ever since she has been so critical of men in both her music and with her statements, many sites have been trying to call Keri Hilson a lesbian. Her last album was titled No Boys Allowed and she said she would never date a rapper. Pair this with the rumors of Missy Elliott dating several women in the game and the stories start. Missy Elliott has been rumored to have dated Ciara, following her work on the Goodies album. For the past two years, there have been rumors of Ciara and Keri Hilson having a feud. The best way to really get things going is by getting involved with the ex of a major rival. While both women deny their feud and relationships with Missy Elliott, gossip sites hear what they want to hear. Recently, Missy Elliott addressed the Keri Hilson rumors via Twitter. She said it was funny how she has only met Hilson a few times and there are already rumors of the two having relations. 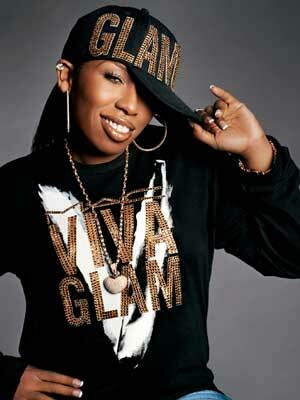 Missy Elliott also used this time to reach out to Keri Hilson. Her hopes are to eventually share a laugh with Miss Keri over the entire situation. In time, this may become a laughable situation, but Keri Hilson is currently far from being amused.